For many, this holiday dreariness hits long before January. The Thanksgiving and Christmas season can often serve as a reminder for single parents of everything that has gone wrong in their lives. 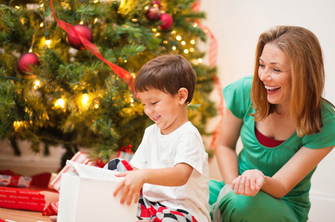 Often, they must share their children with the opposite parent during the holiday season. They mourn the loss of a failed relationship. Financial woes mount, therefore limiting any gift purchases. I have been there. I have eaten holiday meals alone. I have purposefully slept the day away, hoping it would soon be over. 1. Be intentional. Recognizing that this time of year is a struggle for year helps to eliminate the desire to alienate. Map out a schedule for the next few weeks of activities you can accomplish on the weekends or during the evening, when loneliness can be particularly hard. 2. Host gatherings – however big or small. Having a meal at your home can really brighten your mood. Friends help lighten the load and can deter your thoughts from the woes of the season. 3. Decorate your home. Oh, what a big ol’ stuffed Santa Claus can do for your mood! 4. Serve someone else. You are surround with others less fortunate than yourself. Serve at a soup kitchen. Visit a nursing home. Spend time with women in a battered women’s shelter. There is nothing like purpose that changes perspective. 5. Journal your blessings. The more you focus on what God has done in your life and all he has given you, the easier it is to remove focus from any lack you may have. 6. Talk about it. Take a friend to coffee and be vulnerable. Share about the sadness and grief you are experiencing. Let people know. And if need be, make an appointment at your local counseling center. (Many churches offer lay counselors and some even offer professional counselors, free of charge). Author/Speaker Jennifer Maggio is considered one of the nation’s leading authorities on single parents’ and mothers’ issues. She is the founder of Overwhelmed: The Single Moms Magazine and The Life of a Single Mom Ministries. She has been featured on countless radio and television programs and has a heart to see that no single mother walks alone. For more information, visit http://www.thelifeofasinglemom.com.